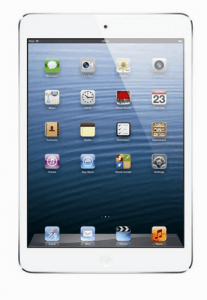 Apple has quietly slipped in an EMI plan for the iPad Mini (16GB+Wi-Fi) which is on sale for Rs 21,900 in India. Apple is offering the tablet in an EMI plan spread over 18 months under which the consumer has to make a down-payment of Rs 4,999 to start with. Then the remaining amount of Rs 16,901 will be charged to credit card. What this would do is that it would block that amount on your credit limit but you won’t have to pay Rs 16,091. Then you’ll have to pay Rs 1,055 as a monthly EMI for 18 months and in the process, you’ll end up paying Rs 2,077 as interest and taxes for the same. But Apple wants to take care of that as well for you and will give you a cashback of Rs 2,190 at the end of the 18 month period so you need not worry about the additional charges. Apple gets to sell its over an year old iPad Mini at its MRP which is in its best interest. On the other hand, the buyers which didn’t go in for the iPad Mini due to its higher cost can now look forward to buying it. The offer is valid only on the iPad Mini (16GB+Wi-Fi) model only for the time being but the same might get extended to other models as well. We’ll let you know when that happens and if you have any queries regarding the same, do let us know. Thanks to Max Collection ( Tardeo – Mumbai) & Mahesh Telecom @MAHESHTELECOM for the inputs.